Welcome you dear artist! 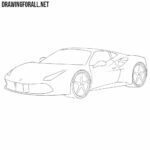 In this drawing tutorial we’ll show you how to draw a Koenigsegg Regera – a sport car produced by the Swedish car company Koenigsegg. This is our standard drawing lesson, so the steps will be standard. 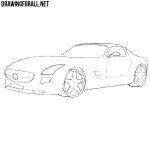 With the help of light lines sketch out the main outlines of our sports car. With the help of the same light lines we sketch out the headlights, rear-view mirrors and wheels with arches. 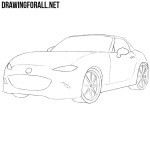 Draw the long and unusual headlights of our sports car. 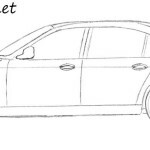 Next, draw a bonnet and a bumper with a grille and fog lights. Let’s pass to the top part of our Koenigsegg Regera and draw a roof, lines of windows and mirrors. We pass to the side of the car and draw a complex lines of the door and air intake. Carefully draw out wheel arches and the wheels themselves. Erase all unnecessary guidelines from your drawing. 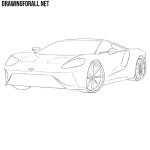 And the last step in the drawing lesson about how to draw a Koenigsegg Regera in which we draw the rims of our sports car. 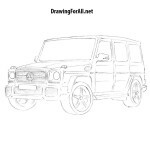 Stay with us and you will see a huge number of new and cool drawing lessons about cars and not only.